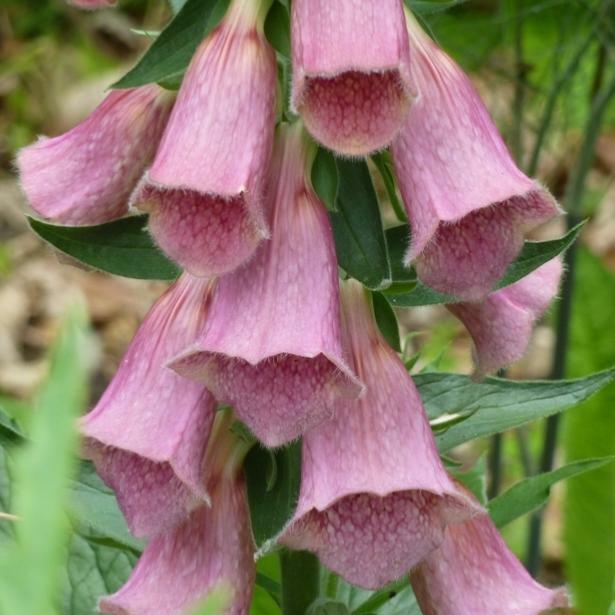 This striking and robust plant is a hybrid between the pink flowered Digitalis purpurea, our wild foxglove, and, the yellow flowered Digitalis grandiflora. The resulting plant produces typical bell-shaped flowers in summer, which are a beautiful mix of the two shades. Warm pink, speckled flowers that are larger than the wild foxglove. The compact plants grow to around 90 to 120cm. 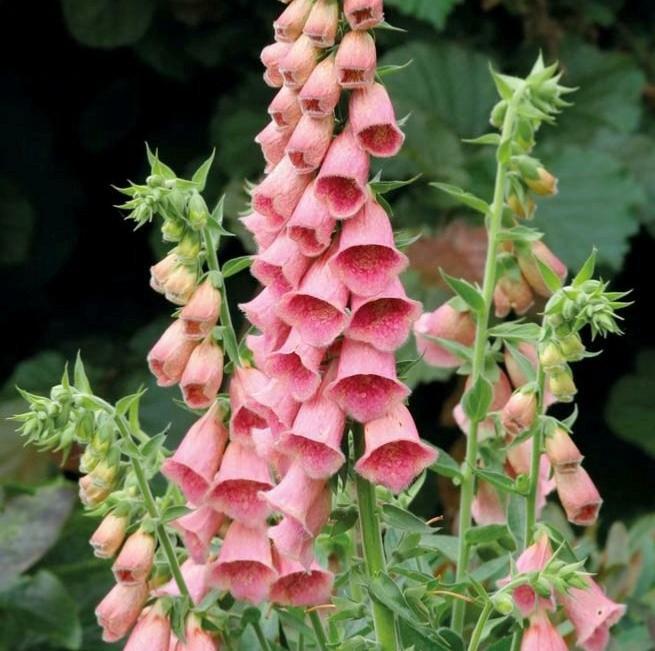 Digitalis mertonensis grows well and looks best in similar situations to the traditional foxglove - in a woodland clearing or amongst trees and shrubs which give it light dappled shade. It is an eye catching border plant and lovely for floral arrangements if you can bear to pick it. Uses: All round tough plant suitable for problem areas. An architectural plant – tolerates full sun and sandy, drought-prone soils. Ideal for planting in large swathes. Pruning \ Aftercare : Deadhead flowers as they fade.